A highly addictive game of dexterity and skill. 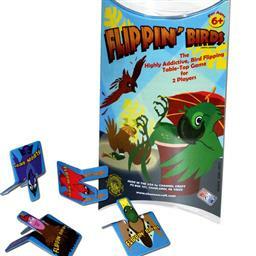 A flick of the finger will send each Flippinâ€™ Bird towards the cup. Each Flippinâ€™ Bird is worth a certain number of points depending on how it lands. Includes Bird playing pieces and instructions.